This is a post by 2013 Wine Tourism Conference partner, Oregon Wine Press. Oregon Wine Press, serving the Oregon wine industry and its followers for nearly 30 years, is on a journey of ongoing change and expansion. As that journey continues, we invite your comments and ideas. The magazine’s history dates to 1984, when Portland-area natives Richard Hopkins and Elaine Cohen started what then was named Oregon Wine Calendar. They nurtured their publication for 22 years, promoting and growing with the Oregon wine industry. 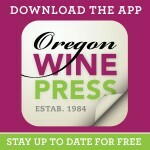 In 2006, Oregon Wine Press was acquired by the News-Register Publishing Co., a family-owned, fourth-generation publishing company in McMinnville, OR. From its base in Oregon’s lush Yamhill Valley, Oregon Wine Press continues in the long tradition of excellence established by its founders. News-Register Publishing Co., owned by the Bladine family since 1928, publishes a local newspaper and the Oregon Wine Press from offices in historic downtown McMinnville. The company’s printing division — Oregon Lithoprint — prints web and digital magazines, newspapers, books, brochures and more for clients throughout the region. Company expansion into diverse digital services extends to its own publications. Thus, Oregon Wine Press has a quality website that is under development for even more modern functionality, and a monthly mobile app that downloads elegant online issues to mobile devices. Under News-Register ownership, Oregon Wine Press became a full-color publication throughout. It was converted from tabloid to an over-sized stitched magazine with book-stock cover pages. And now, its January issue is an annual “Almanac / Atlas” magazine-size with glossy cover. Through all those changes, the owners and staff of Oregon Wine Press have known one constant – a great appreciation for the support of Oregon’s wonderfully diverse wine industry, and for the positive responses from readers of our 25,000 copies distributed throughout the state.